Newly redecorated throughout, the property offers plenty of modern benefits. 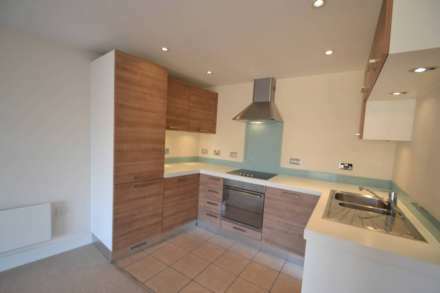 The kitchen has new worktops, plenty of cupboards, washer/dryer, double oven and ceramic hob as well as views over Alexandra Park. The living room has new carpets and a beautiful double glazed bay window. Both double bedrooms have fitted wardrobes and cupboards for easy storage. The bathroom is modern with bath/shower, W/C and basin, all in very good order. Further fitted storage spaces can be found in the hallway with space to hang coats upon entry and further fitted storage for larger items. This property offers off-street parking and a garage! Available unfurnished and immediately.